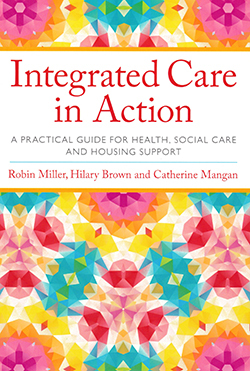 PhD candidate in nursing Hanneke Wiltjer reviews Integrated Care in Action: A Practical Guide for Health, Social Care and Housing Support. The blurb of this book suggest the focus is leading, managing and delivering integrated care. However, parts of it apply to leading, managing and delivering any kind of change in healthcare. After an introduction to integrated care services, it provides an overview of instigating change in healthcare, for example: leadership, the role of professionals and service users, and evaluation processes. Relevant models and theories are outlined. The information is compact, making it suitable as a starting point. Although the book is easy to read, the constant use of bullet-point lists is dry. However, the examples provide valuable illustrations and welcome intermissions. As it focuses on managers’ perspectives, it is not a book every nurse would enjoy. However, libraries could hold a copy for those exploring integrated care services and/or management and leadership. I also recommend it to ward sisters, ward managers and specialist nurses as they instigate, lead and manage change in a healthcare system aiming for integration.